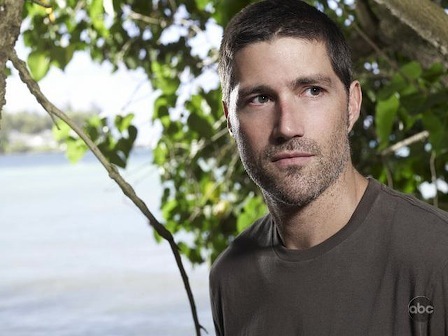 January's heavy-hitters are falling into place with Fox officially announcing its midseason plans while ABCs reportedly has set Jan. 21st as the fifth season premiere of Lost. The trade newspaper Variety says Lost will return to Wednesdays at 8 p.m. (central) after spending last season on Thursdays as a direct lead-in to local late night newscasts. ABC supposedly will reboot with back-to-back Lost episodes from 8 to 10 p.m. after a one-hour recap. Lost then settles back in at 8 p.m. on the following Wednesday (Jan. 28th). ABC's Wednesday 8 p.m. incumbent, Private Practice, will either relocate to another night or move back an hour. It's been picked up for a full season, so cancellation's not in the cards. Meanwhile at Fox, here comes Season 8 of American Idol with a two-night, four-hour launch on Jan. 13-14. That keeps the sing-a-thon in its regular Tuesday-Wednesday locale. House, however, will move from Tuesdays at 7 p.m. to Mondays at the same hour, beginning Jan. 19th. Its 8 p.m. bunkmate is 24, which as previously reported returns on Jan. 11-12 with a four-hour running start. Fringe, the freshman sci-fi series from Lost creator J.J. Abrams, remains on Tuesdays at 8 p.m., but with Idol as its new lead-in on Jan. 20th. On Wednesdays, the new scripted crime series Lie To Me gets the post-Idol push, beginning on Jan. 21st. It stars the always edgy Tim Roth (Reservoir Dogs as world-class "deception expert" Cal LIghtman, who "studies facial expressions and involuntary body language to discover not only if someone is lying, but why." Sounds a lot like The Mentalist, already a breakaway hit on CBS. Another Fox newbie, Dollhouse, gets a lesser Friday slot, but not until Feb. 13th. Created by Joss Whedon (Buffy, the Vampire Slayer) and co-starring former BVS regular Eliza Dushku, it dotes on "a highly illegal underground group of individuals who have had their personalities wiped clean so they can be imprinted with any number of new personas." Dollhouse will be paired on Fridays with Fox's like-minded Terminator: The Sarah Connor Chronicles, which has struggled on Monday nights this fall in tandem with Prison Break. Until then, Fox will keep its Friday night lights on with incumbents Are You Smarter Than A 5th Grader? and Don't Forget the Lyrics. We're not done yet. Fox plans to relocate Bones from Wednesdays to Thursdays at 7 p.m., where it will lead into Hell's Kitchen, beginning on Jan. 29th. First though, Bones will pull two Thursday night shifts with Kitchen Nightmares, starting the week after Fox's Jan. 8th telecast of the Fedex BCS National Championship Game. All of this moving and shaking will leave 'Til Death and Prison Break on the outside looking in. Fox says that both will be back "at a later date." Whatever.